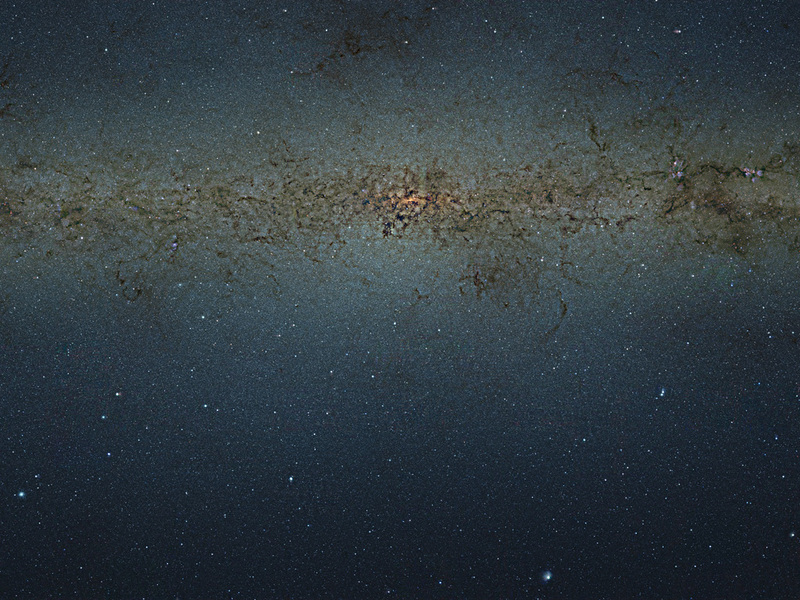 This striking view of the central parts of the Milky Way was obtained with the VISTA survey telescope at ESO’s Paranal Observatory in Chile. This huge picture is 108 200 by 81 500 pixels and contains nearly nine billion pixels. It was created by combining thousands of individual images from VISTA, taken through three different infrared filters, into a single monumental mosaic. These data form part of the VVV public survey and have been used to study a much larger number of individual stars in the central parts of the Milky Way than ever before. 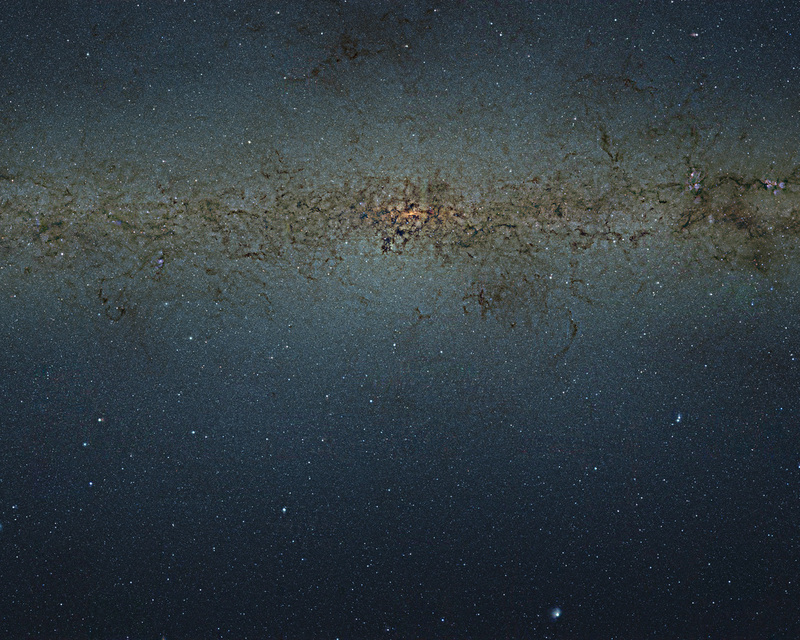 Because VISTA has a camera sensitive to infrared light it can see through much of the dust blocking the view for optical telescopes, although many more opaque dust filaments still show up well in this picture. This image is too large to be easily displayed at full resolution and is best appreciated using the zoom tool. 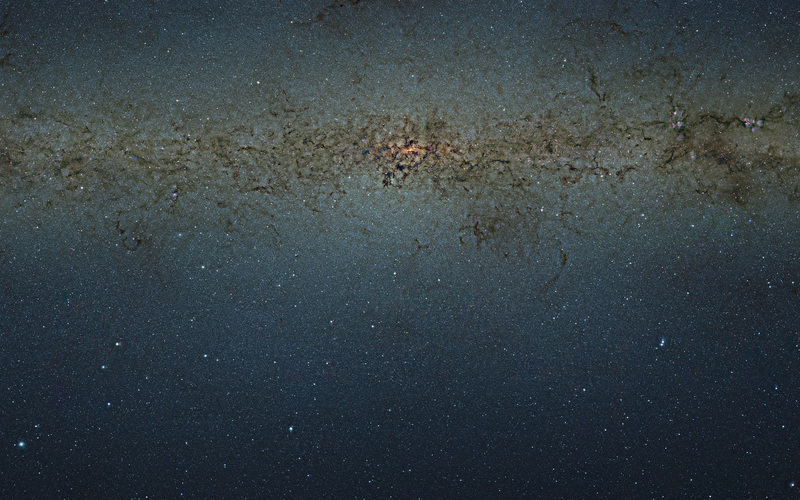 Read about the composition of this 9 gigapixel image in this newsletter.